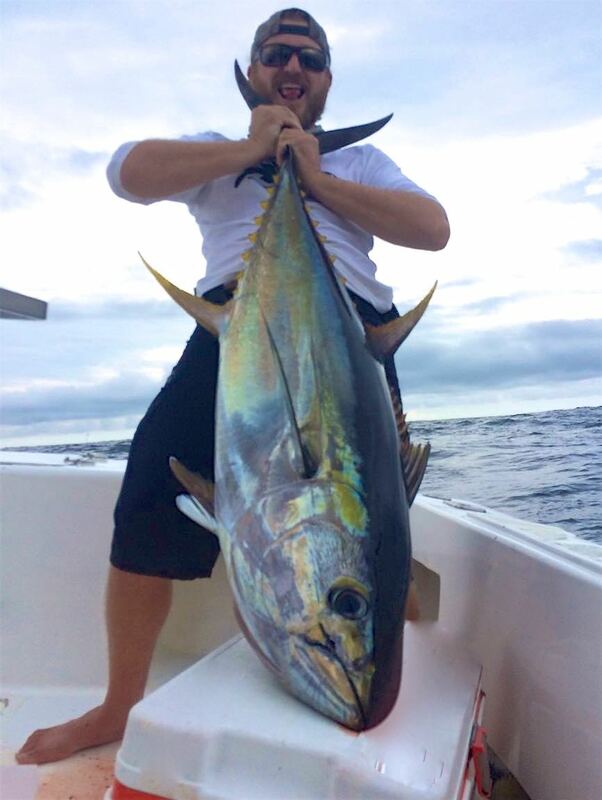 I don't think we have ever seen so many YellowFin Tuna right out there in front of Quepos. 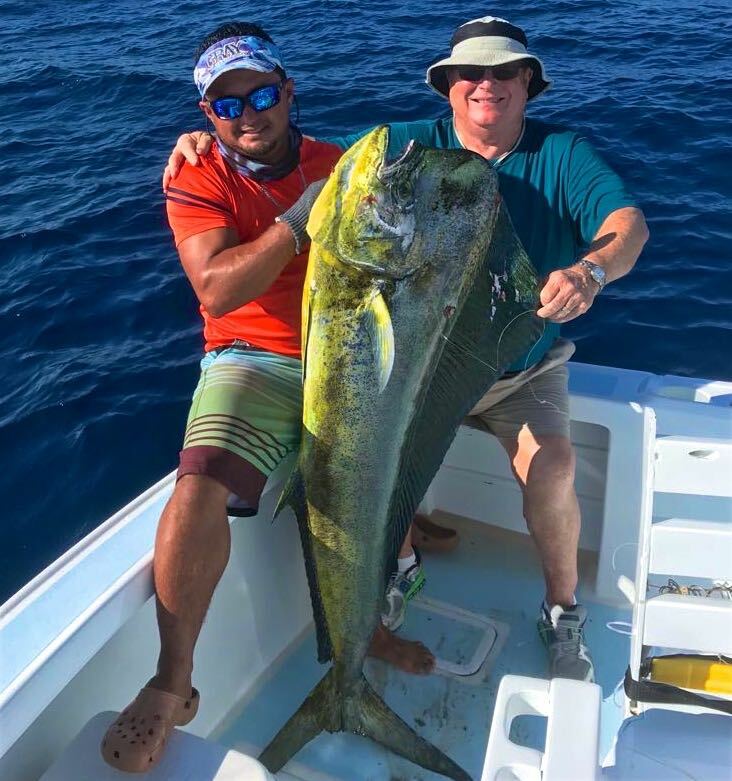 Just huge schools of spinner dolphins everywhere, usually over an acre, with thousands of dolphins jumping, birds feeding, flying fish cruising along the surface, usually to their doom, and most importantly, big YellowFin Tuna below them! 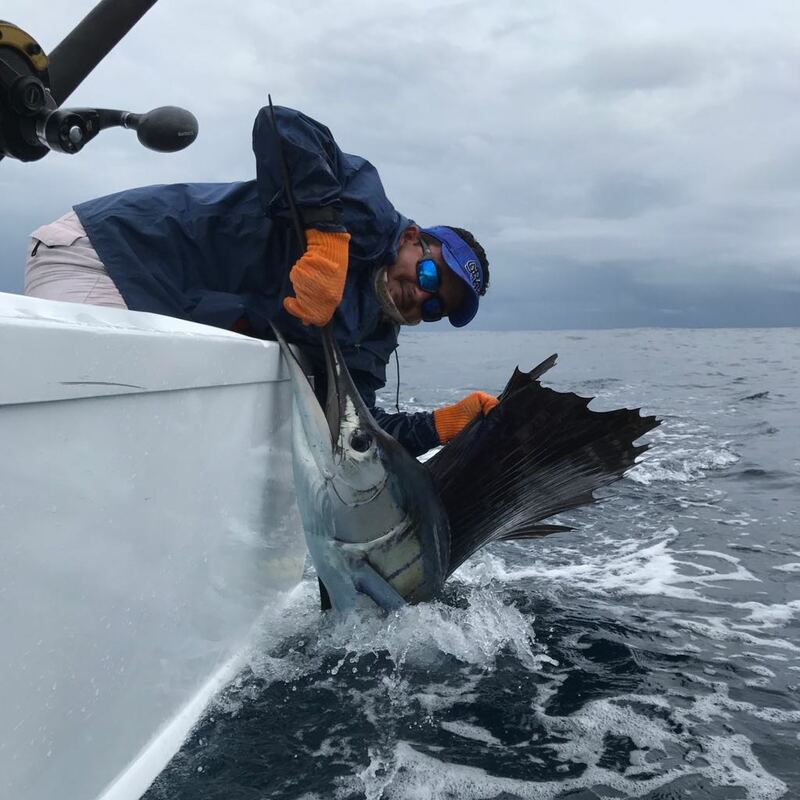 Around the schools and while we look for the schools there are some sailfish out, usually releasing a few each trip. 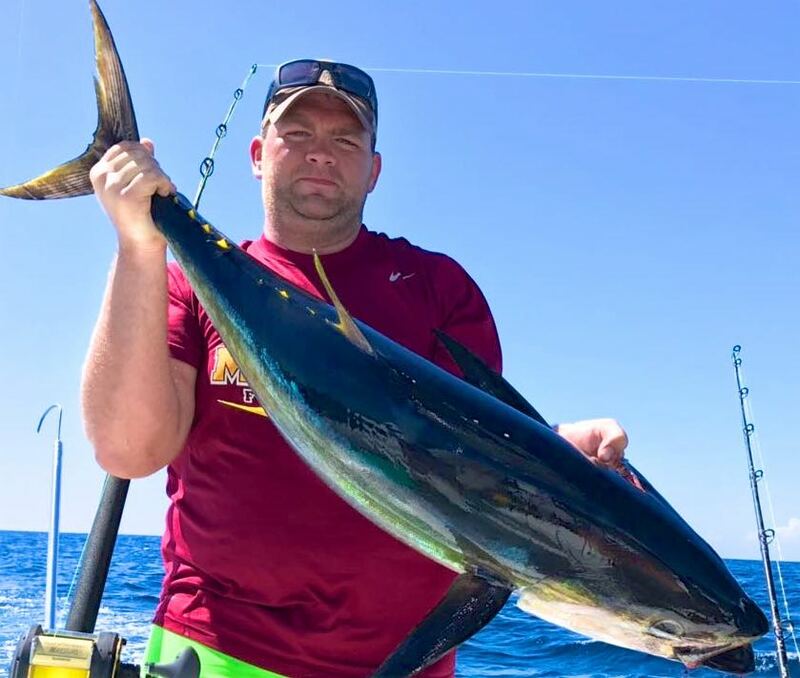 A few big Marlin and a few dorado each week, but the big story has been the YellowFin Tuna. 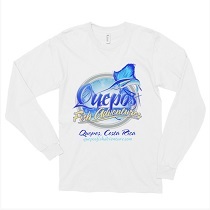 Great big schools Sushi swimming out there, we will bring the wasabi and soy, right in front of Quepos Costa Rica! Been a complete mix out there. 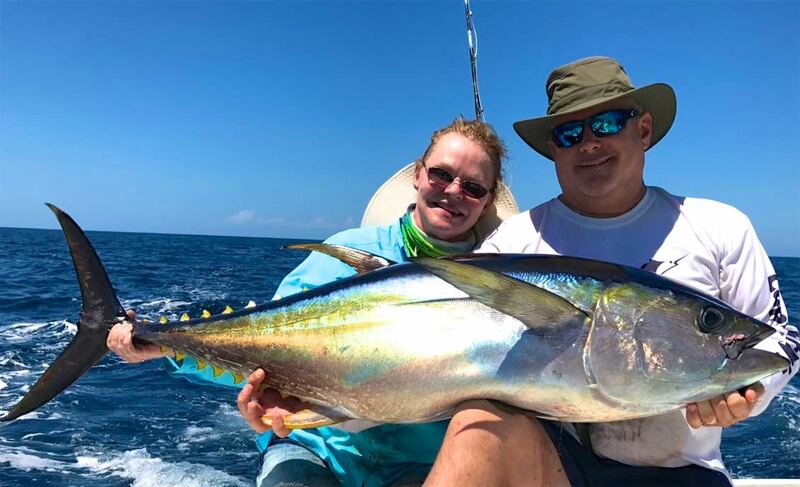 Usually this time of the year, it's all sailfish, and we are seeing sailfish, but there have been a ton of Marlin, YellowFin Tuna and Dorado as well. 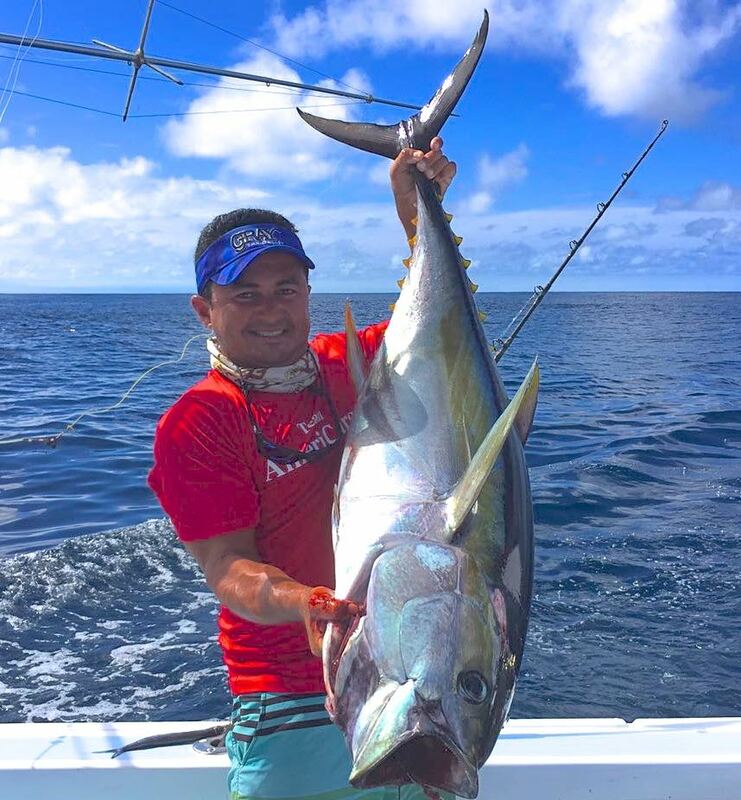 Great diverse offshore fishing here in Quepos Costa Rica! Wow. 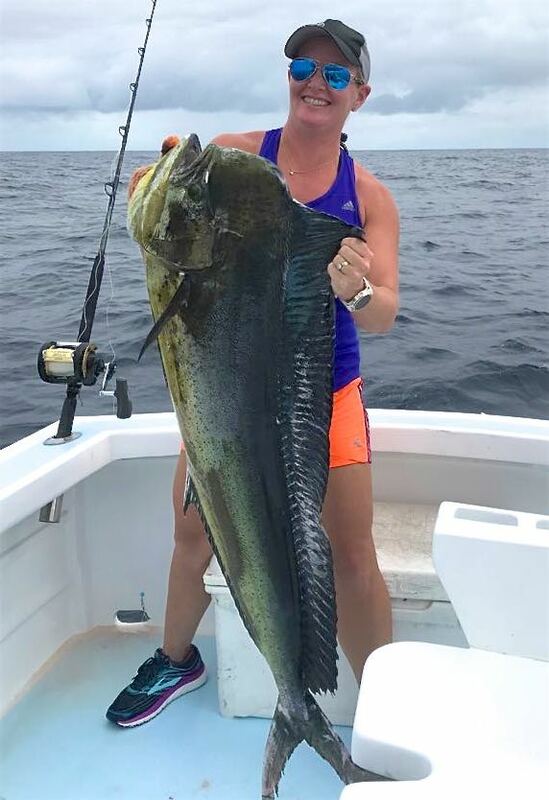 Offshore fishing has been the hottest I can remember. 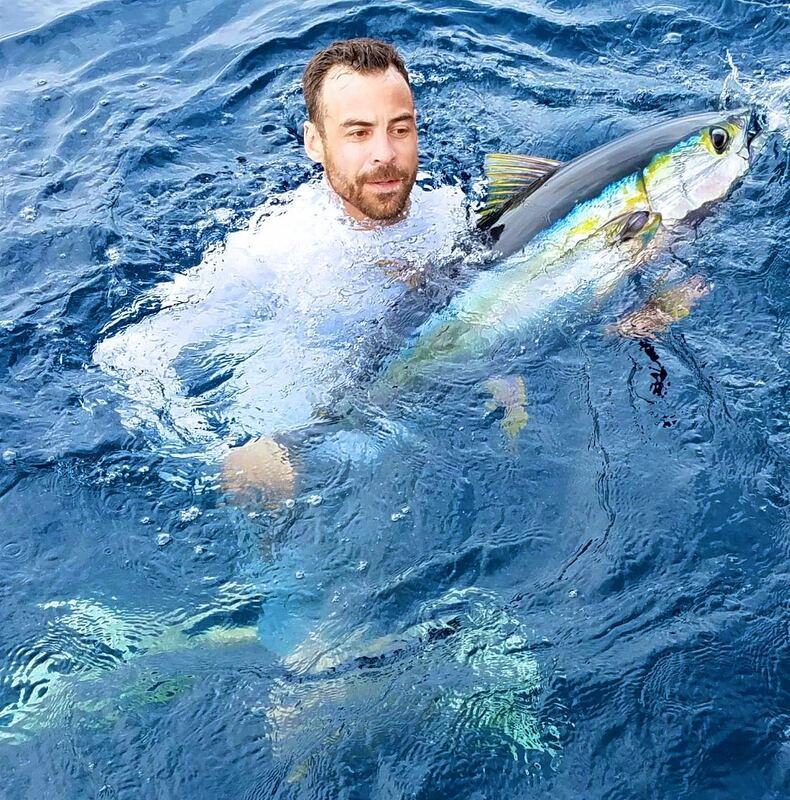 We have never seen this many Marlin out there. 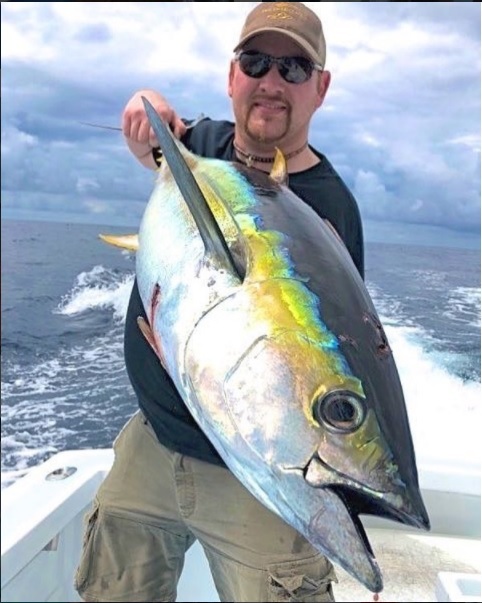 And then there are the Tuna, and the big Mahi, and the sailfish. Cool Story, we have fished with Henry for years now, and last year we missed him as he had heart surgery. 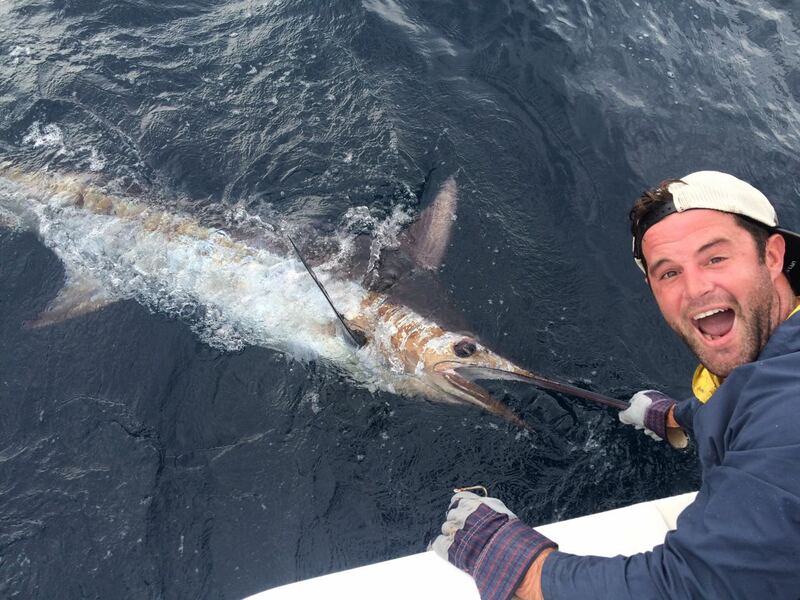 But he was out with John W yesterday, and finally after fishing his whole life, got his FIRST MARLIN! He was just glowing in the Marina after the trip! 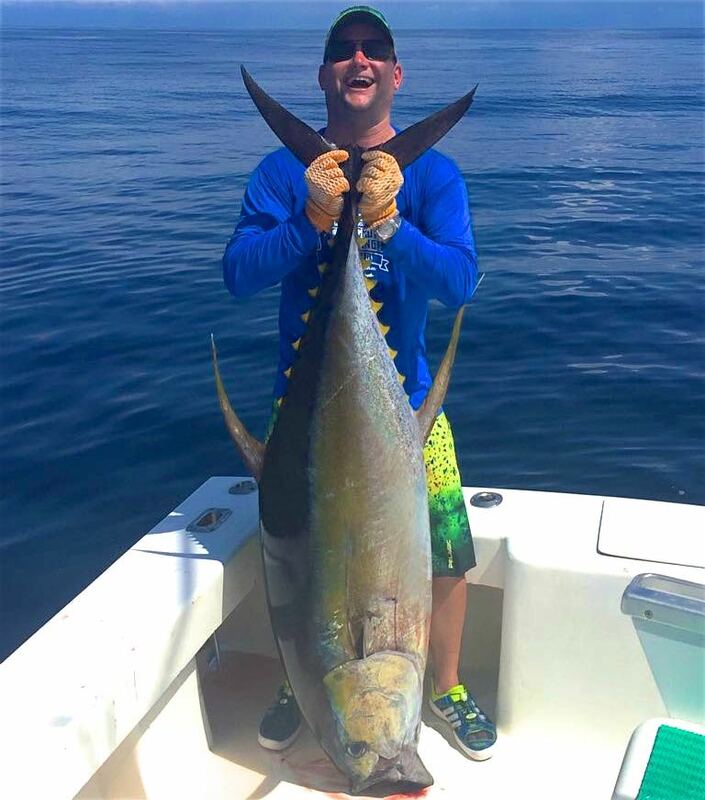 He said it was always his dream, and last year when he missed the trip he thought he would never get his Marlin. Great Fish Story. I love it when we get to make people's lives a little bit better. 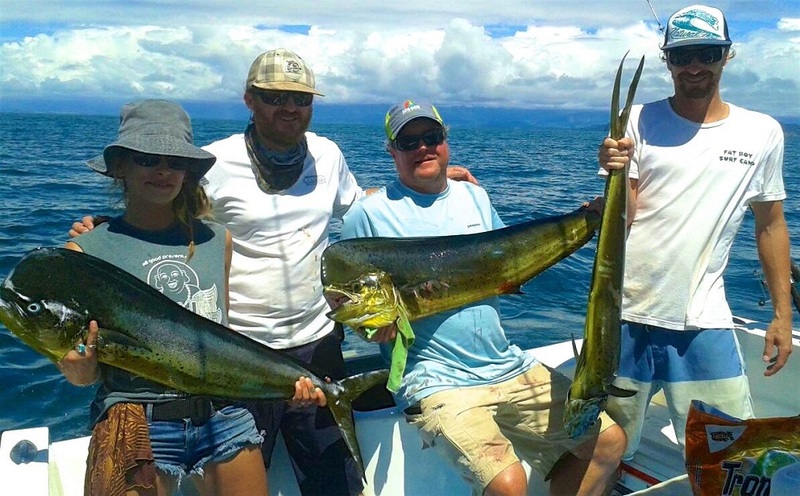 We are making great memories, and having great fishing days out here in Quepos Costa Rica! 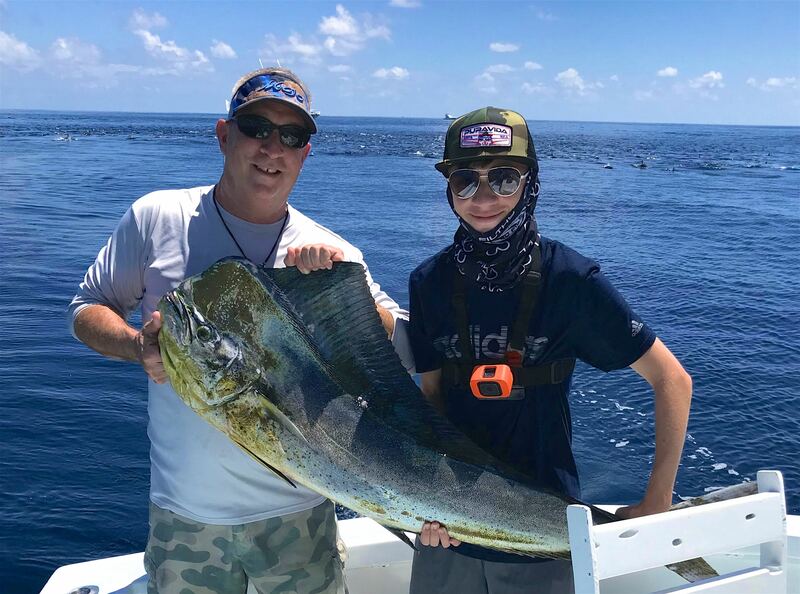 Here's a picture of Henry and his first Marlin! 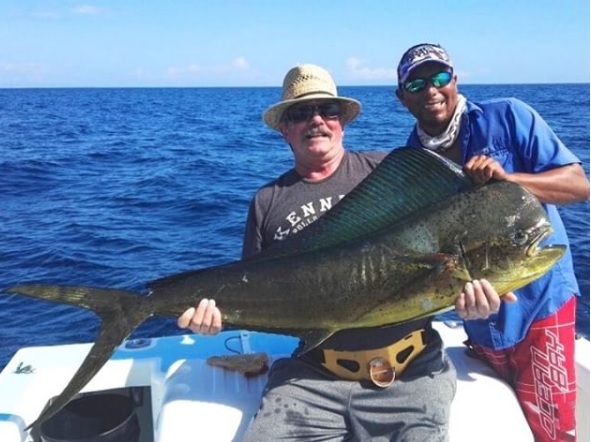 Wow, we are still seeing some dorado around, but the big story has been all the Marlin. 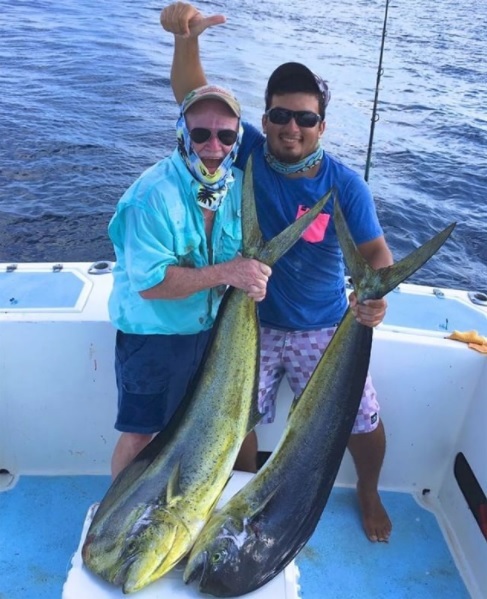 Right now we are averaging over a Marlin hookup per trip, and then the guys still find the time to get in the big schools of YellowFin Tuna, and Dorado. 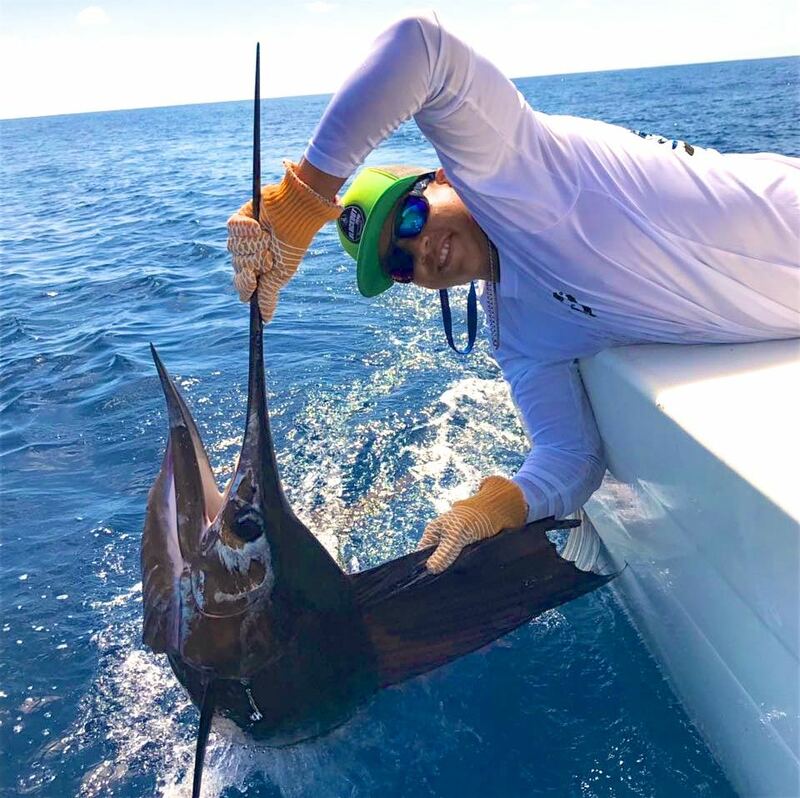 Sailfish haven't showed up in numbers yet, John W had a day last week with 4 releases, but it's been a mixed bag. 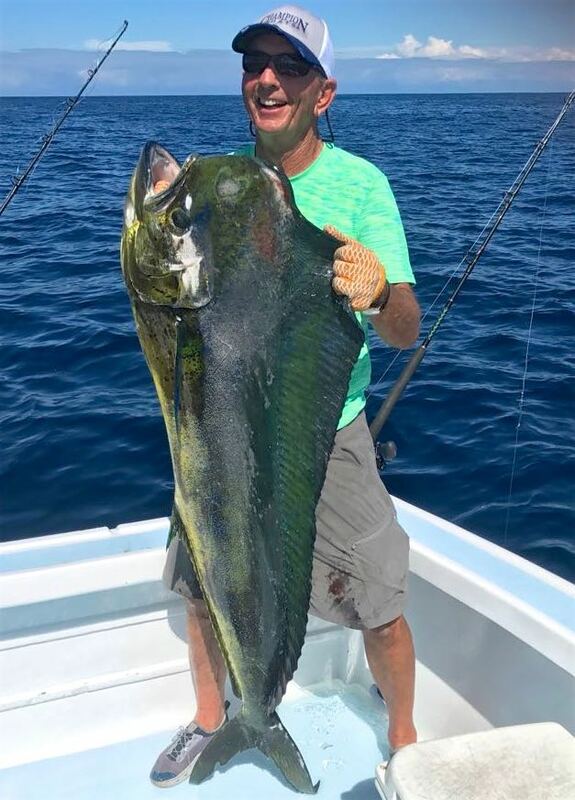 Probably the best month and a half of fishing I can remember in my ten years here, great offshore fishing here in Quepos Costa Rica! November fishing has even gotten better from the earlier part of the month. 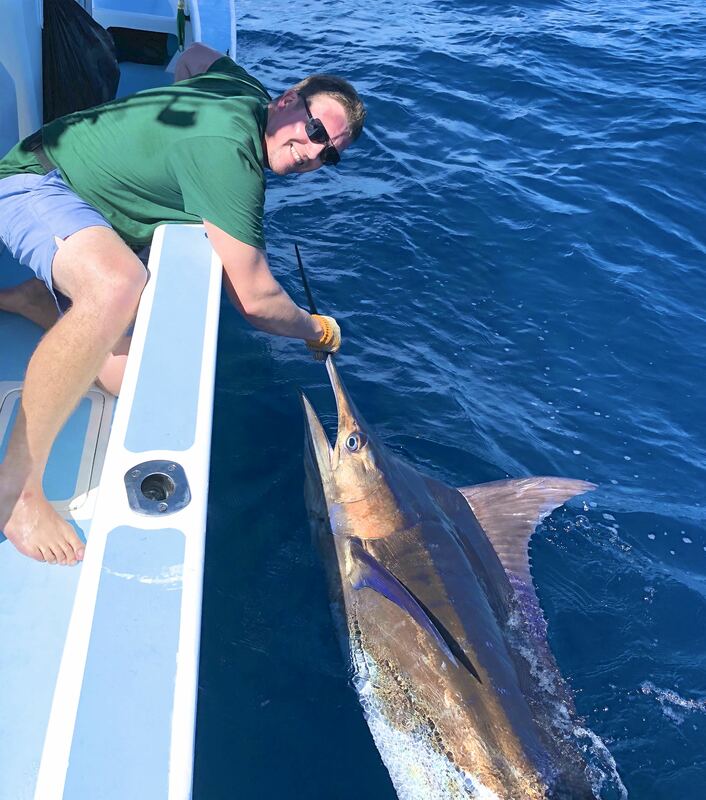 A few sailfish around, a few marlin and millions of big Mahi. 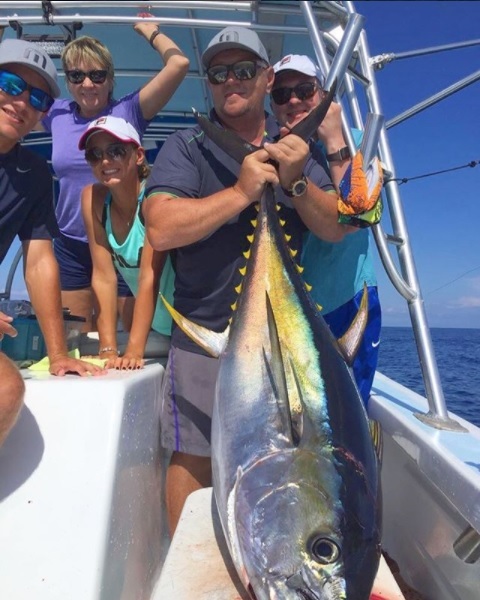 And today John W went Tuna hunting and they got a nice sized YellowFin Tuna for everybody on board! 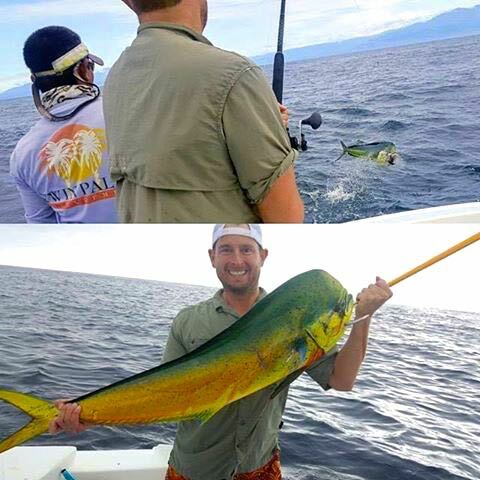 Great fishing, best I can remember, make sure to eat a good breakfast before fishing here in Quepos Costa Rica! Wow, this has to be the best November we have ever had. 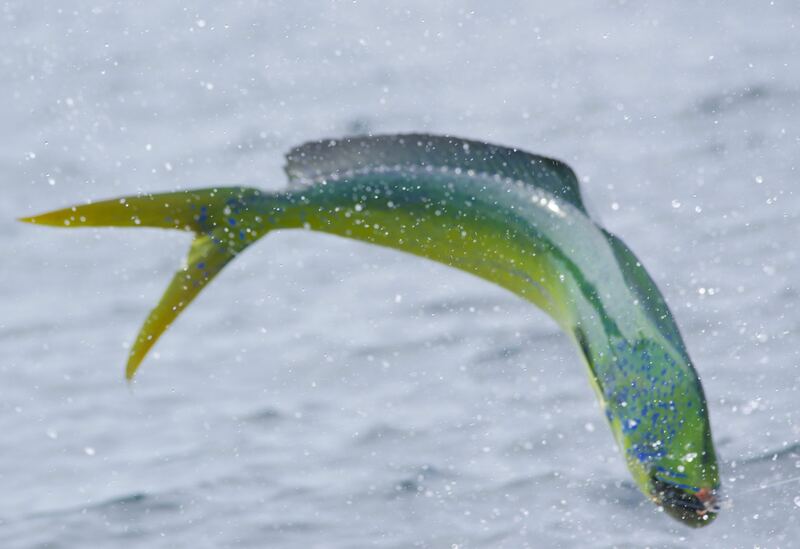 Lots and lots and lots of dorado out there, usually over 20 dorado hook ups a day. 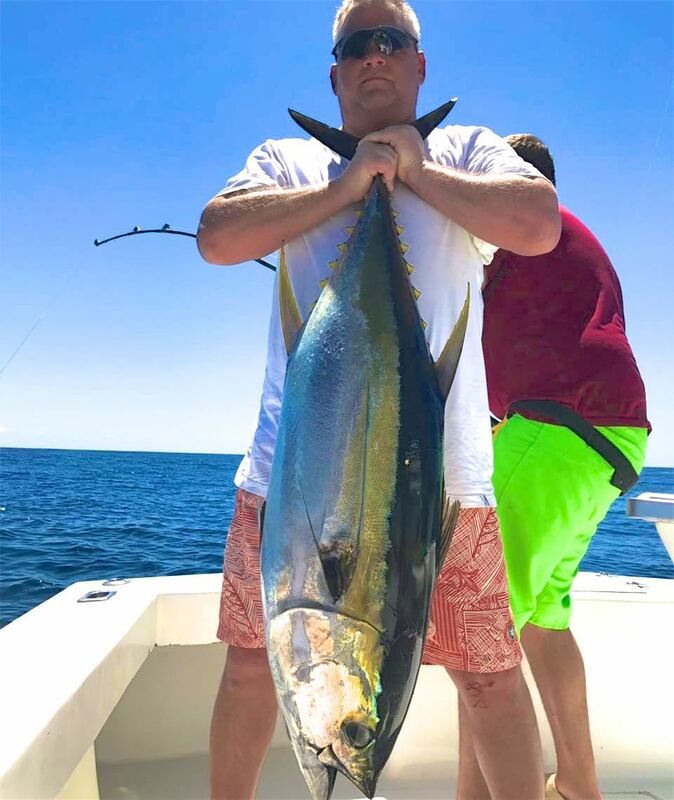 And then there are big schools of YellowFin Tuna out there as well. 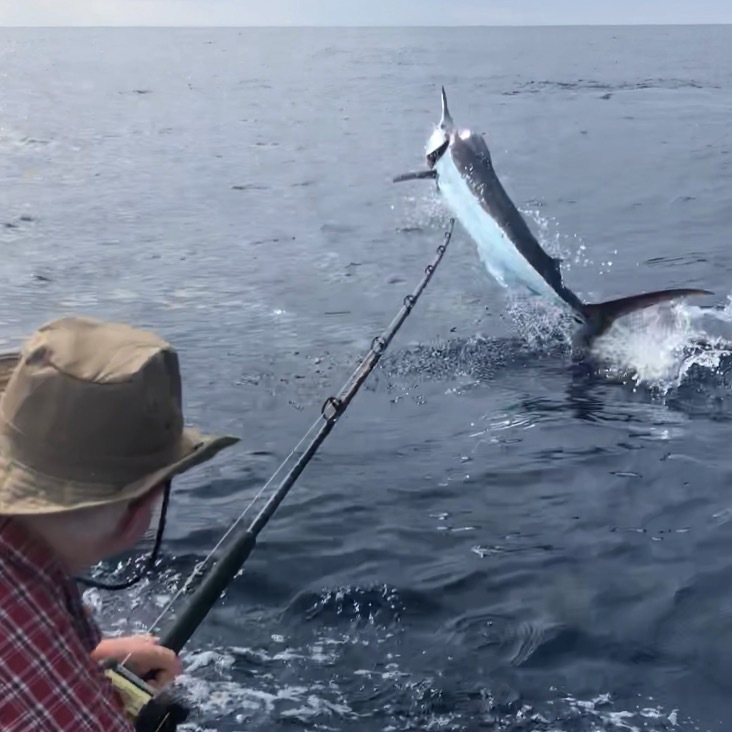 And around the Tuna we have been seeing some nice Blue and Striped Marlin. 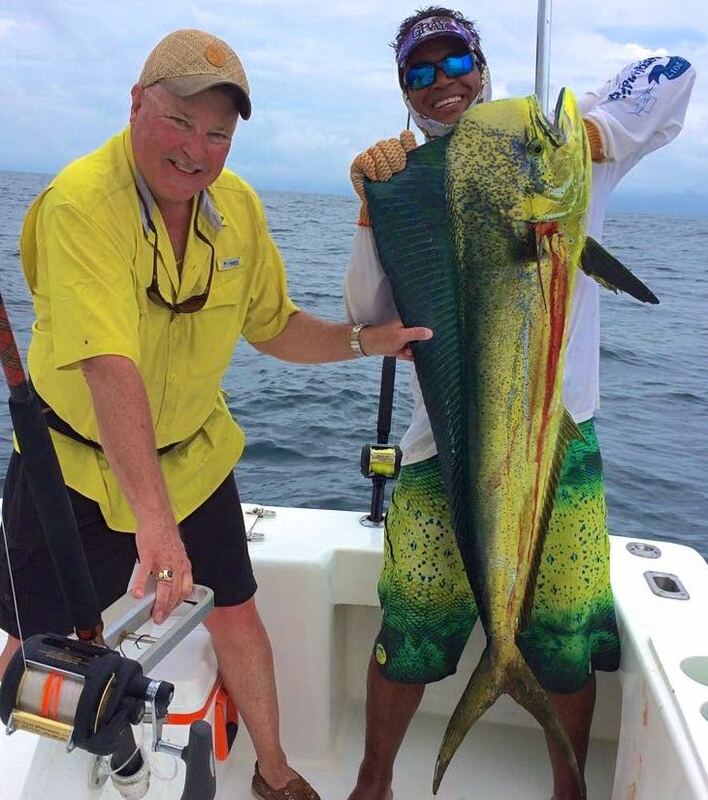 Great fishing offshore here in Quepos Costa Rica! 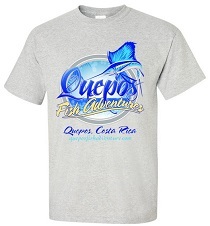 Providing a personal touch to the World Class charter boat offshore and inshore sportfishing in Quepos Costa Rica. 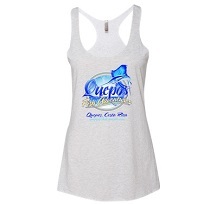 We are based in the Manuel Anotnio and Quepos area of Puntarenas, Costa Rica. 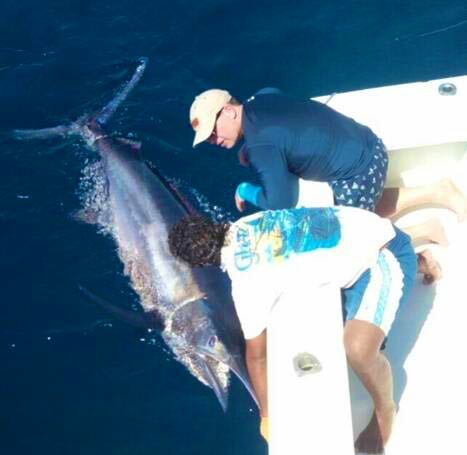 We are only a short 45 minute drive South of Los Suenos, Herradura and Jaco. We are only 30 minutes north of Dominical and Uvita, and it is only 20 minutes or 2 hours by car from San jose. 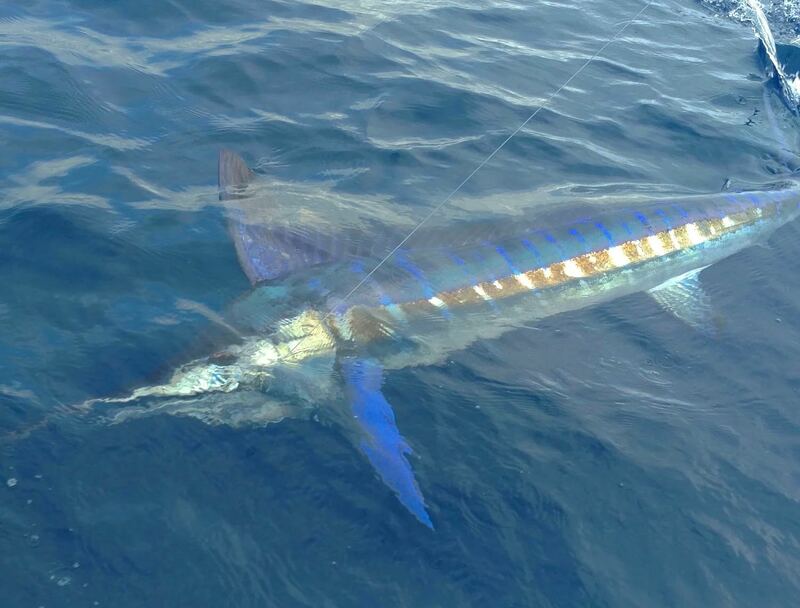 Our focus is sportifshing for Sailfish, Black Marlin, Blue Marlin, and Striped Marlin. 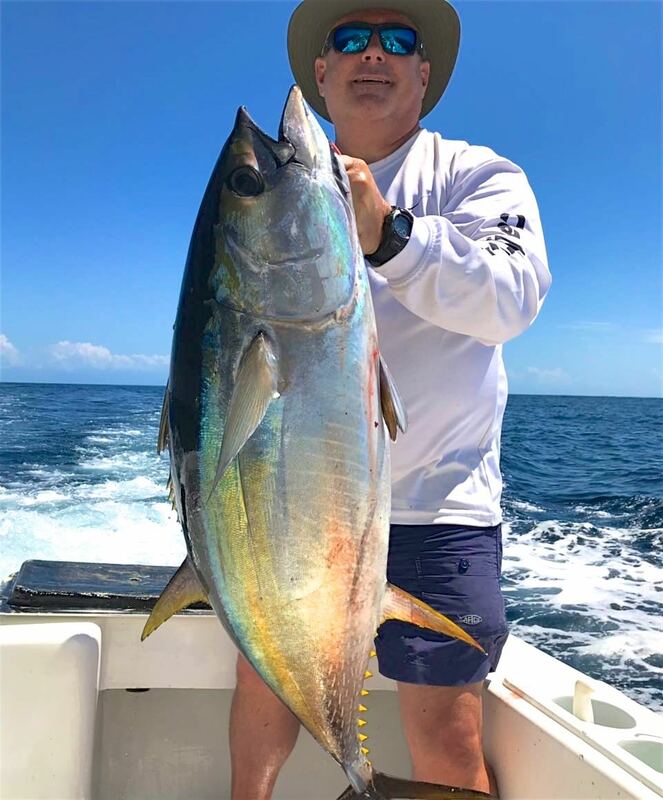 Other fish we like to go after are Dorado, (aka dolphin, Mahi Mahi) yellowfin tuna, amberjack, snapper, and rooster fish (inshore).